Little ballerinas as young as 6 years old have roles in the spectacular Ballet Arkansas production each year. Izzi Rhodes, 14, in her snowflake costume for the 40th anniversary production of "The Nutcracker." Most of the making of the magic of “The Nutcracker” happens in a studio on Main Street; a room with smooth flooring and mirrors in on every wall, where a speaker system plays the same recordings of the Arkansas Symphony Orchestra time and time again. Children as young as 6 years old can try out for the show, and the differing requirements for the various roles allow dancers of virtually any skill level, with a minimum of one year of dance training, to have a chance at a spot in the cast. Amanda Sewell, a member of the Ballet Arkansas dance company, plays the role of the Sugar Plum Fairy in the 40th anniversary production of the show. Reagan Madsen, 7, plays a mouse, during her second year as a cast member in the show. Auditions take place in August and a record breaking number of more than 200 students tried out for this year’s 40th anniversary production. With two casts and 14 different roles — from angels to bon bons to Clara herself — there are spots for dozens of dancers, but unfortunately not every student can make the cut. The company has a limited number of costumes and a cap on the amount of dancers who can be on stage. Fothergill said that if a dancer is too nervous to come into the audition it’s often a red flag and sometimes age and maturity play a part. However, when that’s the case, she always encourages them to come back next year. For students who do make the cut, the rehearsal schedule varies depending on the part they are assigned, but most dancers come in at least once a week from September to December with increased rehearsals as the show nears. Ballet Arkansas provides costumes for the production as well and students are only responsible for a $50 audition fee and $50 production fee to be part of the show. And while opportunities like “The Nutcracker” are a exciting reason for children to try dance as an extracurricular, there are countless benefits to participating in this unique activity that combines athleticism and the arts. 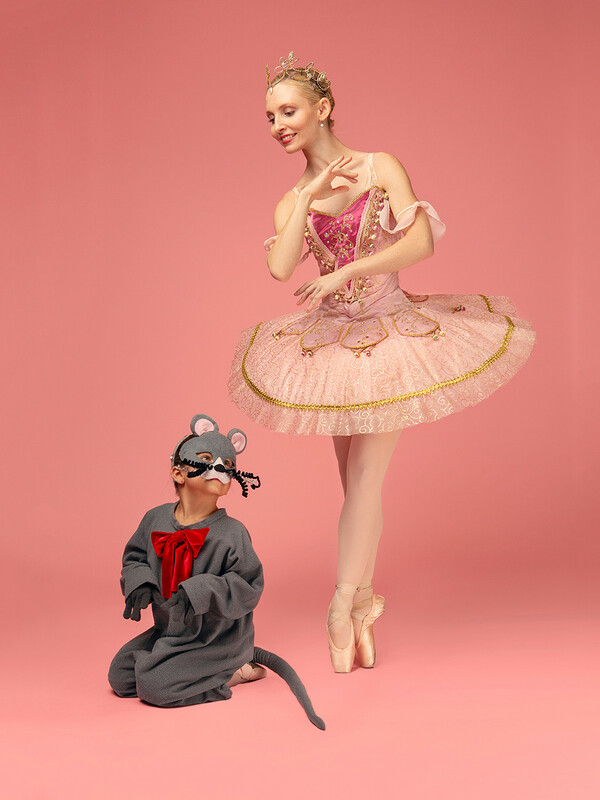 Reagan Madsen played an angel in "The Nutcracker" last year and moved up to a mouse role this year. The iconic role of Clara is filled by Ava Lawson in this year's production. While some dance classes can start as young as 18 months old depending on the studio, Fothergill recommends starting the more technical ballet training around age 6. She calls ballet the technical foundation for all types of dance, so whether your child is interested in tap, jazz or hip-hop, ballet is a good place to start. “To make ballet something that’s a lifelong process of learning, I think it definitely helps starting young and getting those techniques and building the artistry right away,” she said. The physical benefits of dance go beyond basic exercise; it can help with posture and body alignment as well and athletes who play other sports often find benefit in ballet. Fothergill said there are five boys in the community cast of “The Nutcracker” this year and she hopes to see more young men continue to show interest in ballet. From left: Reagan Madsen, who plays a mouse in Ballet Arkansas' production of "The Nutcracker," alongside Ava Lawson, who plays Clara, and Izzi Rhodes, who dances en pointe in her role as a snowflake. 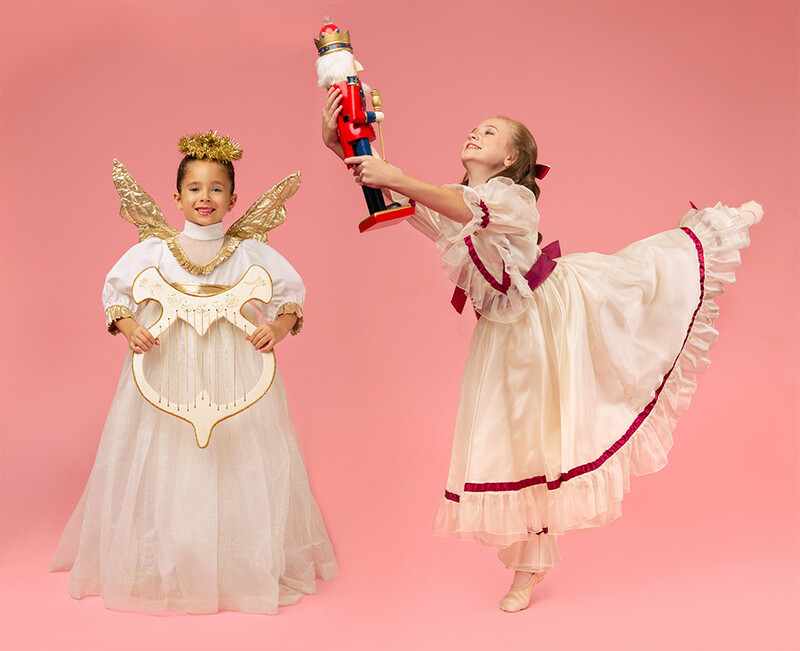 “The Nutcracker” performances will take place at the Robinson Center on Dec. 7 and 8 at 7 p.m. and Dec. 8 and 9 at 2 p.m. Tickets start at $20 and more information is available at BalletArkansas.org. If your son or daughter is interested in taking dance classes and joining a studio, check out our new Little Rock and North Little Rock dance studio guide.